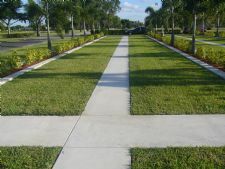 Location: Our community's burial section is located at Star of David. Besides being convenient, our congregation has had a long relationship with Star of David and its personnel. They know, understand, and respect our specific needs and Jewish standards. Cost: Advertisements have recently appeared in local and Jewish newspapers announcing an increase in price for funeral services. This comes as no surprise. In fact, the trend has been for costs to double every decade. Translate that into dollars and in ten years you will be paying 9 or 10 thousand dollars... and that just covers a plot of land, not any other services. Our current negotiated price is only $5000 (that's $1,000 below the industry standard) and guaranteed (if purchased within the next 6 moths) to never go up. Payment Schedule: The best part of this low introductory cost is the payment plan that comes with it. All you need is a deposit of $650 per plot with payments of $550 every 3 months. After two years you are all paid up. Donation: In addition, 50% of your price is tax-deductible!! Yes you read this correctly. Not only will you be helping yourself and your family, you will also be giving back to the community at the same time. It is our hope that, whatever your reason for visiting here, these words and ideas are helpful to you.